Ummm…well, I don’t dislike them. But I don’t go out my way to find them either. I guess I appreciate them more than I used to. Does that count as a yes? No, we stuck to the basic root vegetables: carrots, sometimes rutabaga (which we called turnips, but were really yellow-fleshed rutabaga), and potatoes. Especially potatoes. A never-ending rotation of mashed, boiled, baked, and, for special occasions, scalloped. And then more mashed ones again. 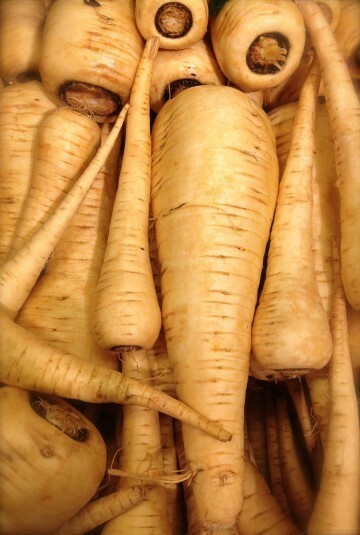 On the Neely side of the family, parsnips turned up only once every few years, around Christmas. At my cousins’ place my aunt Glennys made candied parsnips, with heaps of brown sugar and butter to make them more appealing to everyone, especially the kids. I knew my sweets though, and the candied parsnips didn’t have me fooled. 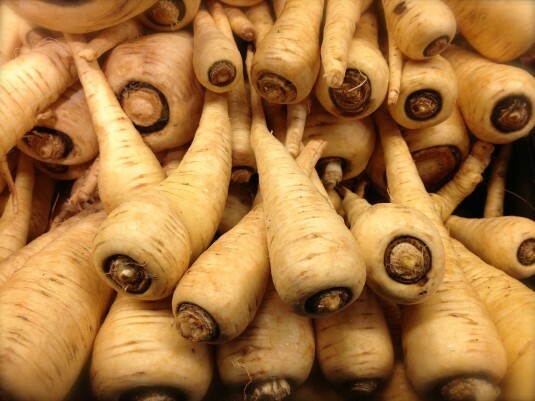 When the parsnips got passed around the table to me I remember taking a token one or two small pieces, just to be polite. Enter the CSA. This was our second summer enjoying a weekly box of fresh vegetables from Cropthorne Farm in Ladner, and I love it. Well, mostly I do. It’s exciting to see the season unfold week by week and to try veggies I don’t normally buy. But every season, there’s a few weeks where my culinary creativity sinks to a low ebb. Maybe it goes on summer holiday. At those times, when I open up the weekly box and see something I don’t regularly eat — like kohlrabi or parsnips — I’m apt to shove it to the back of the crisper, thinking what am I ever going to do with that? That’s exactly how I felt when we got parsnips 3 weeks in a row in the CSA box. I secretly hoped that Bob would discover them in the fridge and roast them all up for a big Sunday night dinner à la Jamie Oliver. So I took up a challenge for myself: Find some inspiration, somewhere, and make a respectable dish out of the parsnips. Not a boring side dish you’ve seen before (boiled or roasted parsnips), and not a slavishly strange creation you’ll never see again (Heston Blumenthal’s parsnip cereal). More like a simple, slightly offbeat dish that would appeal to almost everyone over 12 years old. This is a fantastic way to use parsnips in an unexpected way. It's a healthy, gluten- and grain-free appetizer that pairs well with raw veggies or crackers. Plus, you can make it a day ahead of time. Place the parsnip pieces in a medium saucepan and cover with water. Bring to a boil and simmer over medium-low heat until parsnips are tender, about 5 minutes. Drain and transfer to food processor. Add lemon zest and juice, spices, and olive oil and blend together until smooth. Scrape down the sides of the processor, add the butter and blend together again. Add salt and pepper to taste. If the texture is thicker than you prefer, add a little more olive oil or lemon juice. If not using right away, cover and refrigerate. To serve, spoon hummus into a ramekin or onto a plate, drizzle with some olive oil if desired, and surround with slices of fresh vegetables, crackers or bread. Makes about 1-1/2 cups. Toasting and grinding your spices helps to boost their flavor: Heat spices in a dry sauté pan over medium-low heat, stirring occasionally with a wooden spoon, until fragrant. (Keep a very close eye on your pan, as the spices go from fragrant to burnt in no time!) Remove from heat, cool, then grind in a spice grinder. I use an inexpensive coffee grinder which I use exclusively for spices. Sounds yummy! My brother has apparently just become vegan so I will tell him about this (minus the butter, I guess!) I hear he’s living on hummus. This will give him a good variation. This was surprisingly good, Daphne. (Love that when I try a new recipe!) The butter added a creamy quality….maybe there’s a vegan butter that would make a decent substitute? I must say that I love parsnips, but this sounds amazing. I shall try this soon. Thank you. 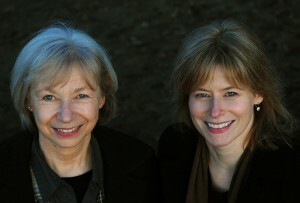 Eve, my boss who does yoga in White Rock remembers you as a food writer. Nice to hear from you. Kris’s parsnip hummus was great – and I’ve just seen a recipe for beet hummus, so who knows, maybe there’s a whole new future for root vegetables on the appetizer table. Yes, I wrote about food for about 15 years, 10 of them at the Vancouver Sun. Loved it. Beet hummus! Wow. Sounds great. 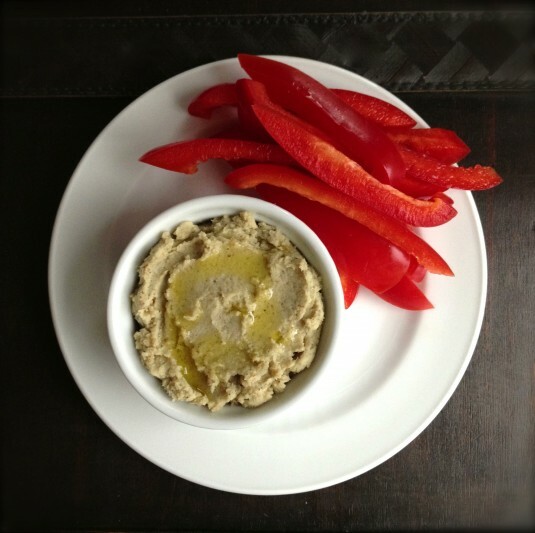 I’ve made cashew hummus and red pepper hummus. Looking forward to trying the parsnip one over Christmas.